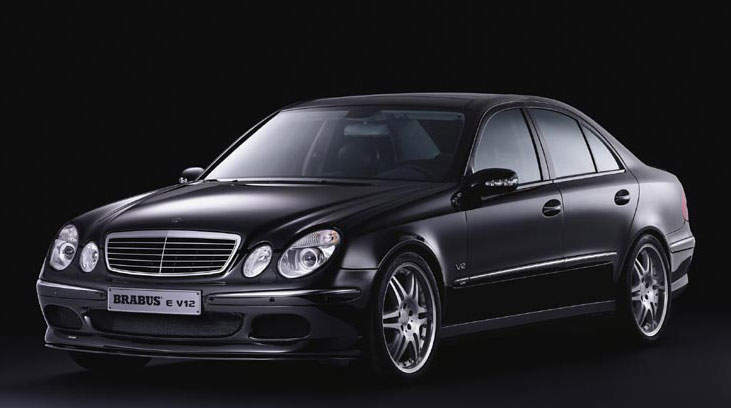 The world’s fastest sedan record has been broken again with the introduction of the Brabus E V12 Biturbo sedan, based on the current Mercedes Benz W211 E-Class sedan. 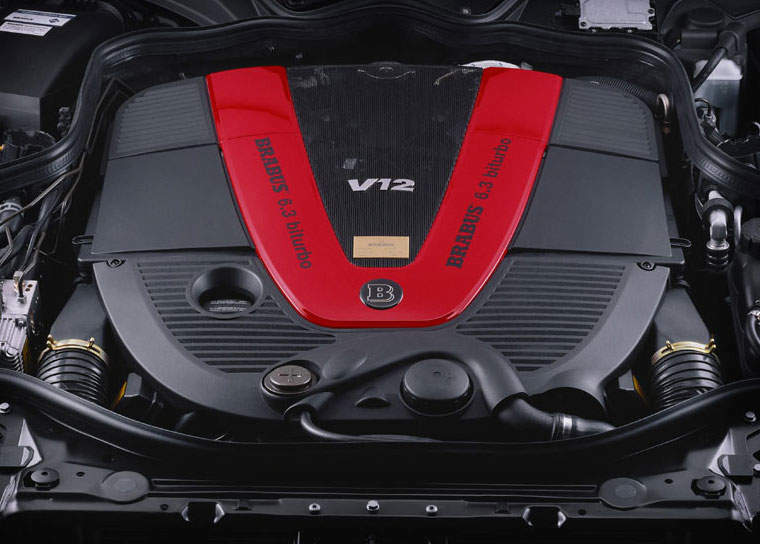 The 2005 Brabus E V12 is surgically implanted with the V12 5.5 litre twin-turbo engine that Mercedes uses in it’s S-class luxury cars. The engine bay had to be modified. 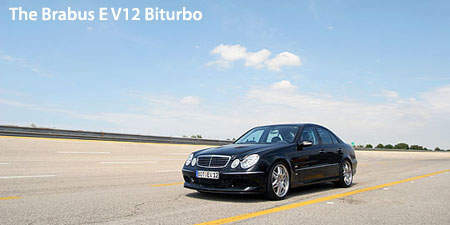 The Mercedes V12 5.5 litre twin-turbo engine had been rebored with new pistons and with a new longer stroke crankshaft, it’s displacement was increased to 6.3 litres. 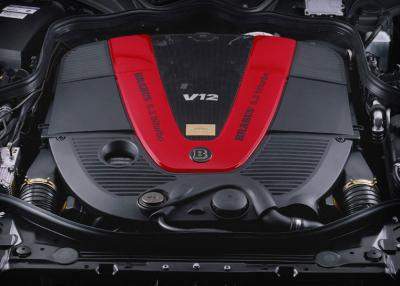 Other modifications to the engine include more aggresive camshaft profiles, remachined cylinder heads and a sports exhaust system that allows all that monsterous power to exhale easily. The result is a frightening 640hp at 5100rpm and 1026Nm of torque at a low 1750rpm. Madness! So how does this translate when brought to the racetracks? 0-100km/h in 4.5 seconds, 0-200km/h in 11.7 seconds, and 0-300km/h in 30.6 seconds. Top speed is 350.2 km/h. OMGWTFBBQ! With that crazy acceleration power you need good brakes. So Brabus has slapped on 14.8 inch ceramic disk brakes with 12-piston calipers on the front and 14 inch cross-drilled ventilated steel discs with 6-piston calipers on the rear. Those ceramic disk brakes will make dogs go crazy when the brakes are applied. The noise they make are not audible to our ears. Power is put to the wheels through a 5-speed automatic gearbox. Hmm, doesn’t Mercedes Benz already have 7-speed 7G-Tronic automatics available already? Specially designed Brabus bodykits with aerodynamic properties are also fitted to generate enough downforce to keep that whole bunch of excellent engineering on the ground. The car costs 298,000 Euro. I think with taxes slapped on and everything, it would cost close to RM4 million in Malaysia? Next Post: A Ferrari SUV?